Blaccsunmix: ∆┼∆ Lordϟ of th3 Blvck ϟun VOlume 2! 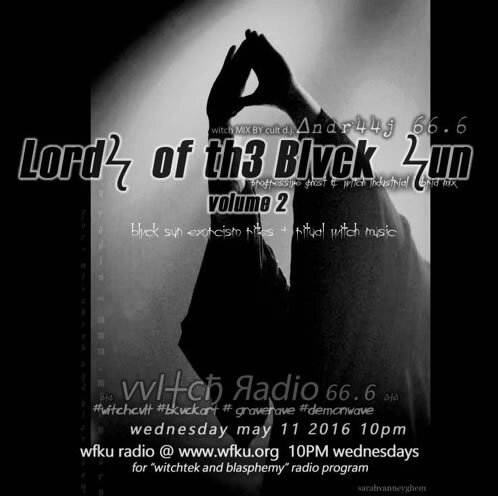 ∆┼∆ wi┼cђcvltmix andr44j 66.6 ∆┼∆ Wednёsday may 11 10 PM- WFKU radio ∆ blvck sun exorcism rites + ritual witch music witchmusic, experimental & witch house > 1 hours. A hexx 9 Production for the Witchtek and Blasphemy hour.